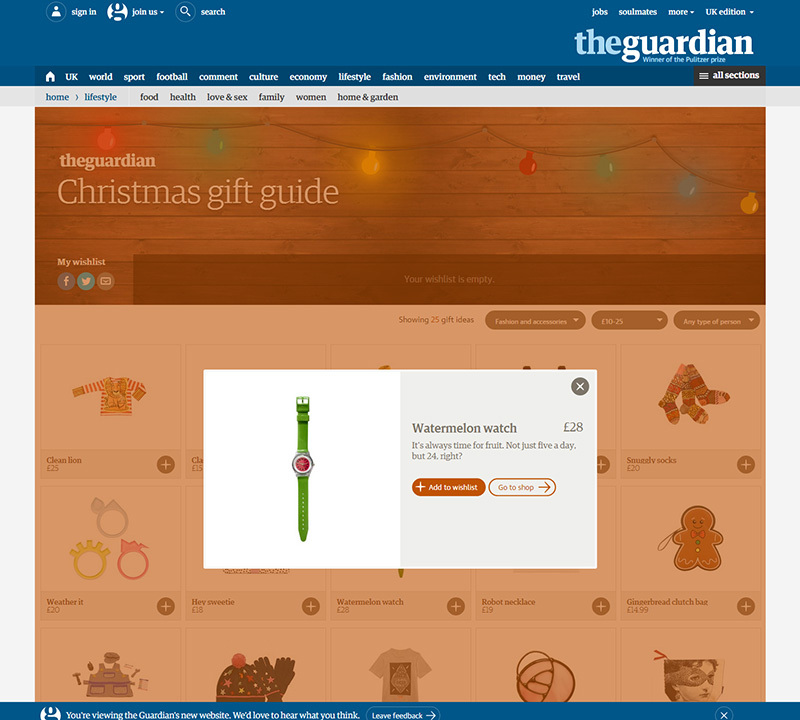 Our Watermelon Watch is featured in The Guardian Christmas Gift Guide 2014! 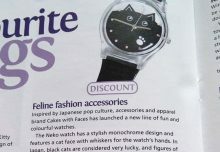 We’re so excited to see our watch design in the gift guide of a national newspaper! 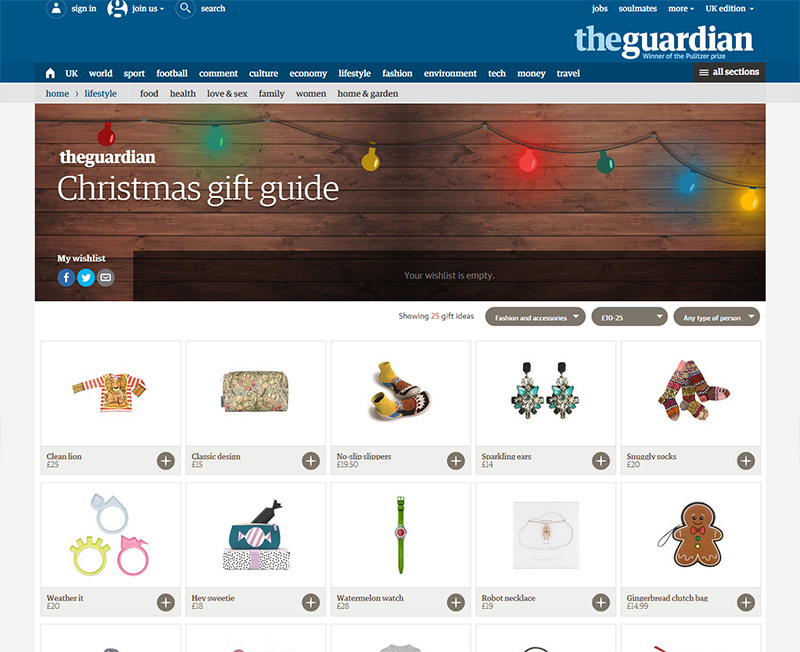 You can view the Gift Guide online on The Guardian website. 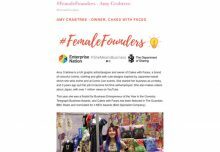 The gift guide has lots of unique and unusual gift ideas from independent brands, designers and boutiques that you can buy online without having to leave the house! The ideal situation when Christmas shopping. It’s really exciting to be included – thank you to The Guardian, we’re happy you like our colourful watermelon watch! 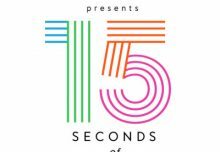 You can order our watches from our online shop.